I can hardly believe October has come and gone! The last couple of days have been a whirlwind with Halloween… but now that November is here, I am in full swing for Thanksgiving and Black Friday shopping and a little pumpkin pie! Pie is my absolute favorite dessert! Call me crazy, but I love it more than cake and cookies and ice cream! I couldn’t resist my pie obsession, so we made our pumpkin pie in class last week. It was super simple… only five ingredients. First, the kiddos smashed a graham cracker inside a plastic bag. You better believe they all loved that! Then, we mixed two tablespoons of pumpkin pie filling with 3/4 of a cup of vanilla pudding and a dash of pumpkin pie spice. You could easily use 1 1/2 pudding cups. This is what I did, since I was too lazy busy to make any pudding. We scooped our pudding mixture on top of the crumbled graham crackers, added a dollop of whipped cream, and enjoyed! You can grab the recipe here! We also completed a class graph and sequenced the recipe! 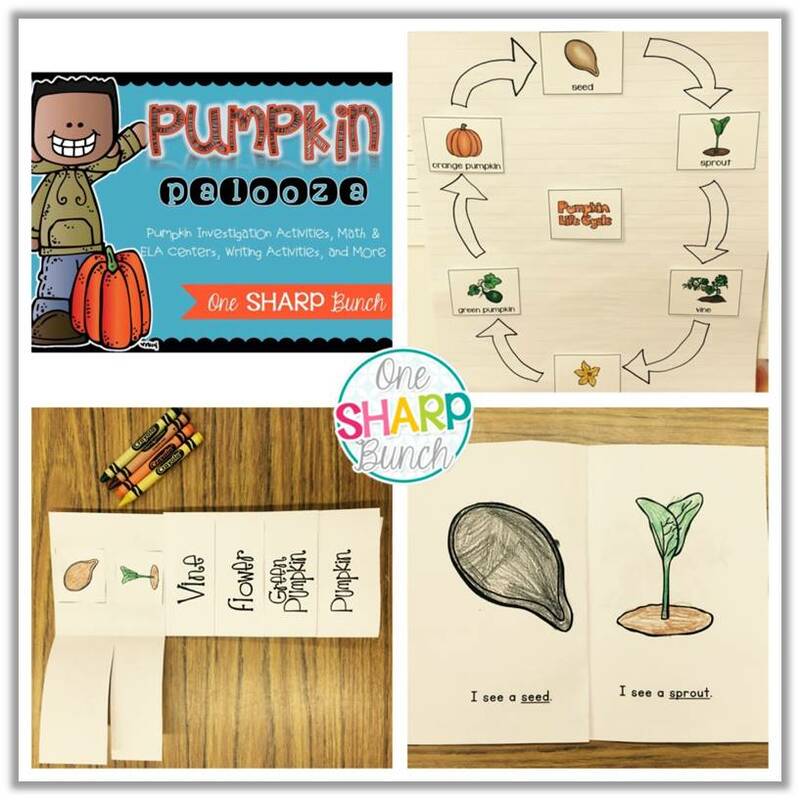 and more pumpkin fun in my Pumpkin Palooza pack! 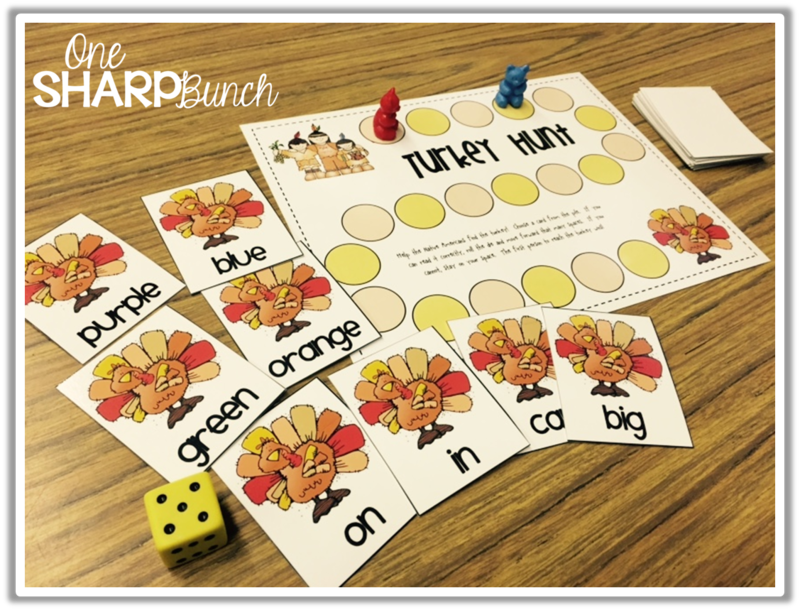 We’ll be practicing our CVC words with this fun “Catch the Turkey” game! 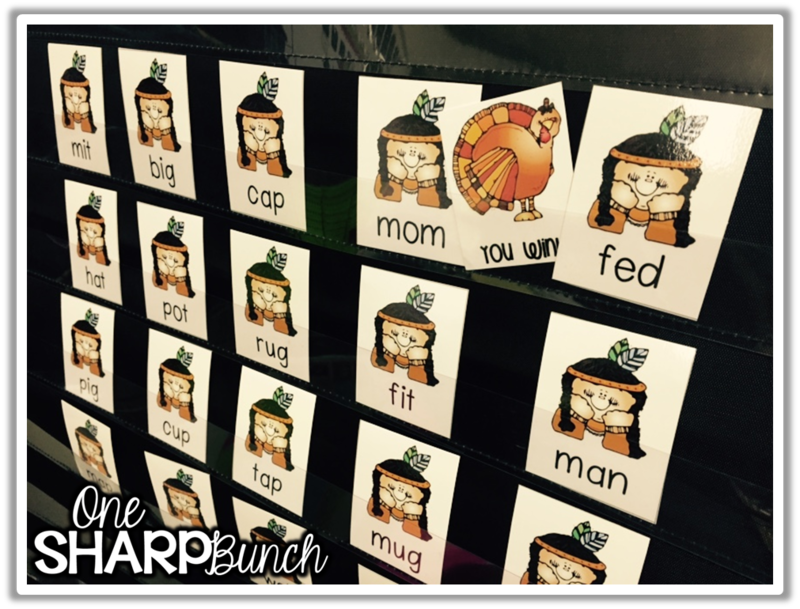 as well as letter and sound identification. Plus, we’ll have a little fun with number recognition. 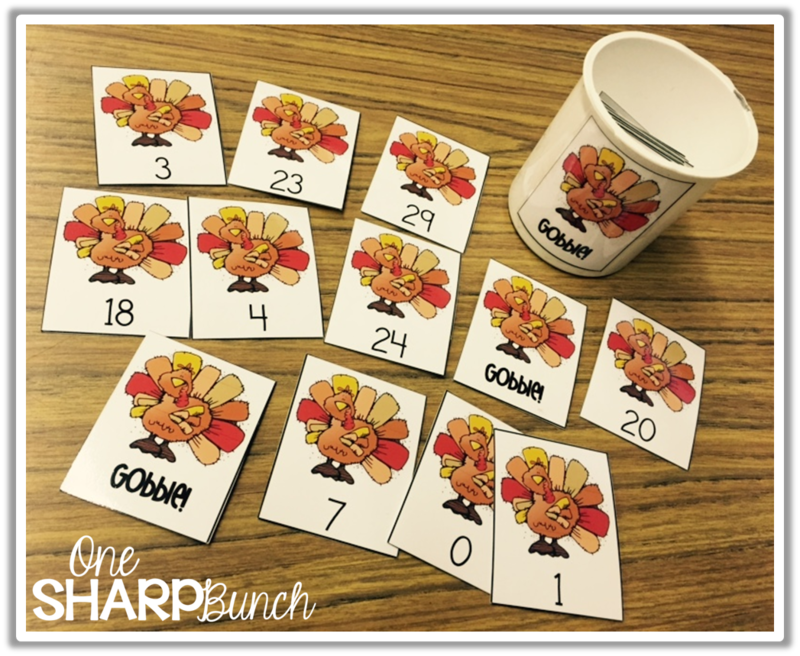 Watch out for the “Gobble!” card! To say thank you to all of my fabulous followers, I have a Thanksgiving FREEBIE for all of you! I am truly thankful each and every day for all of your support! as well as my Pumpkin Palooza pack, in my TpT store! A BIG thank you to Amy and Julie for hosting the Holiday’s Around the Blog linky! 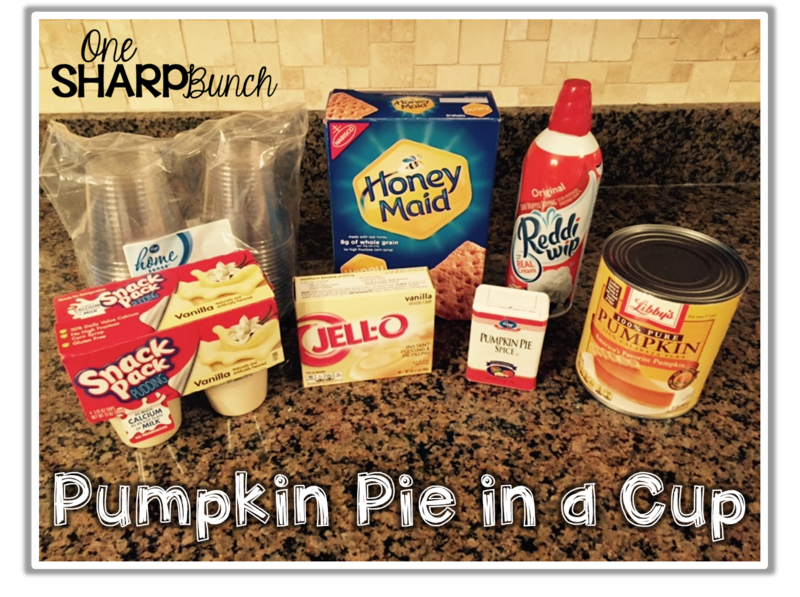 Pumpkin pie in a cup!!! YUM!!!!!!!!!!!! It was delicious! Even the hubby liked it! 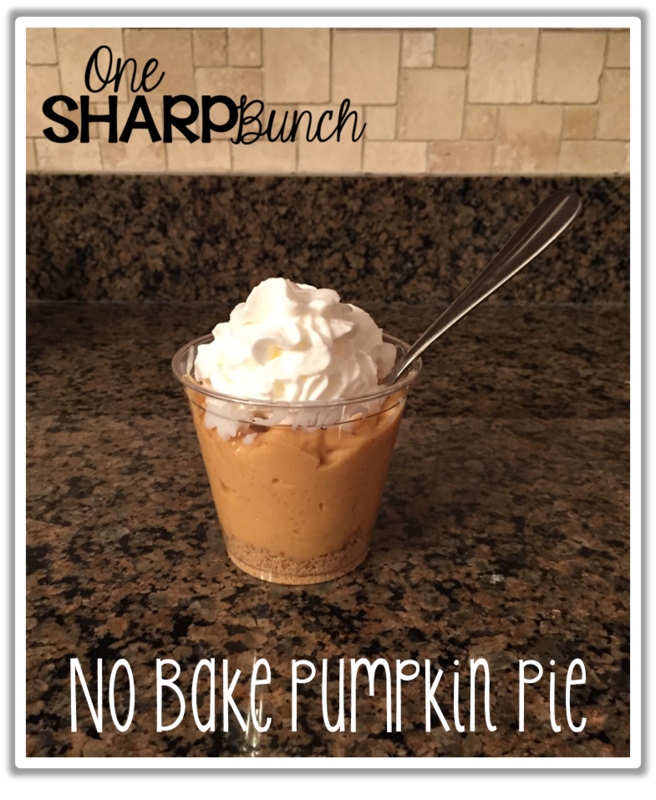 Yummy pumpkin pie in a cup! Will have to try. 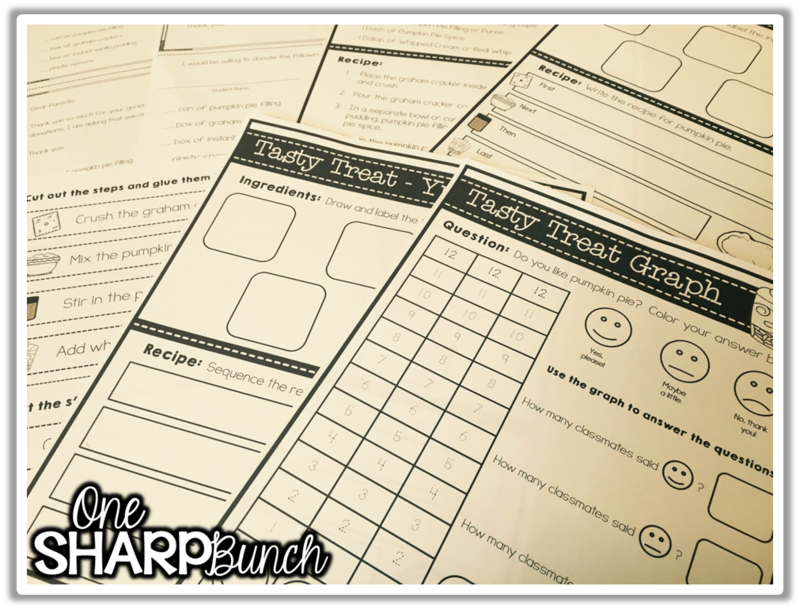 Do you know when your November poems will be added to your poetry pack? Can't wait to print for Monday! Hi Emiily! I will have them up this weekend! I'm hoping yet today! Sorry for the delay! I love pumpkin pie, but I am allergic to gluten so can only enjoy the insides usually so I am thinking I will have to try this recipe but without the graham cracker! (or find GF ones) it sounds yummy! 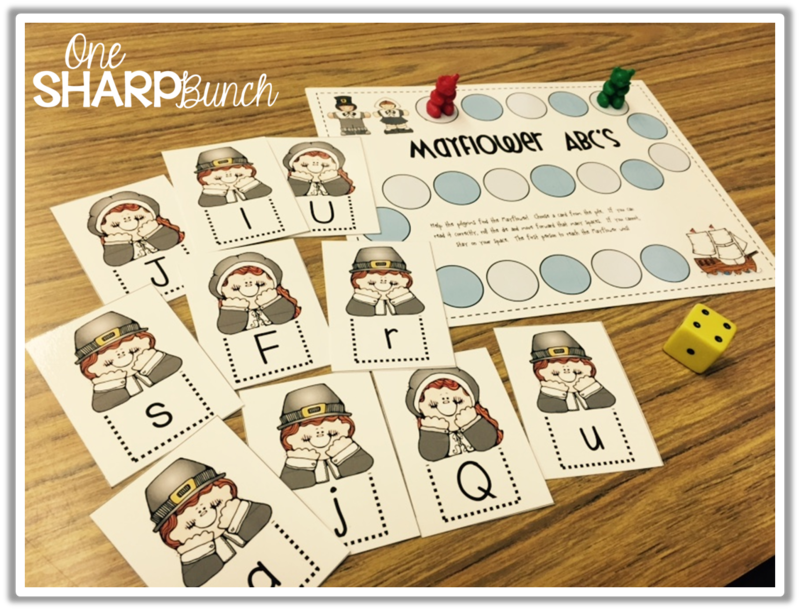 Thanks so much for the freebie also – perfect for math workshop time! I love reading about what other teacher bloggers do in their classrooms, thanks for sharing!! I have been GF for the last year, but I still love pie! I substituted the graham crackers for GF graham crackers. You can even use the mixture as a dip with the crackers! Thank you for stopping by! Oh can't wait to try to that recipe. But when I click on the pic or the link, it goes to Amy's blog…is that just an issue on my end? Thank you so much for letting me know, Amna! I just fixed the link! Yummy! We will definitely be making these this month. Thank you for sharing with us. Thanks so much for the freebie! Some of my kiddos are still struggling with that. 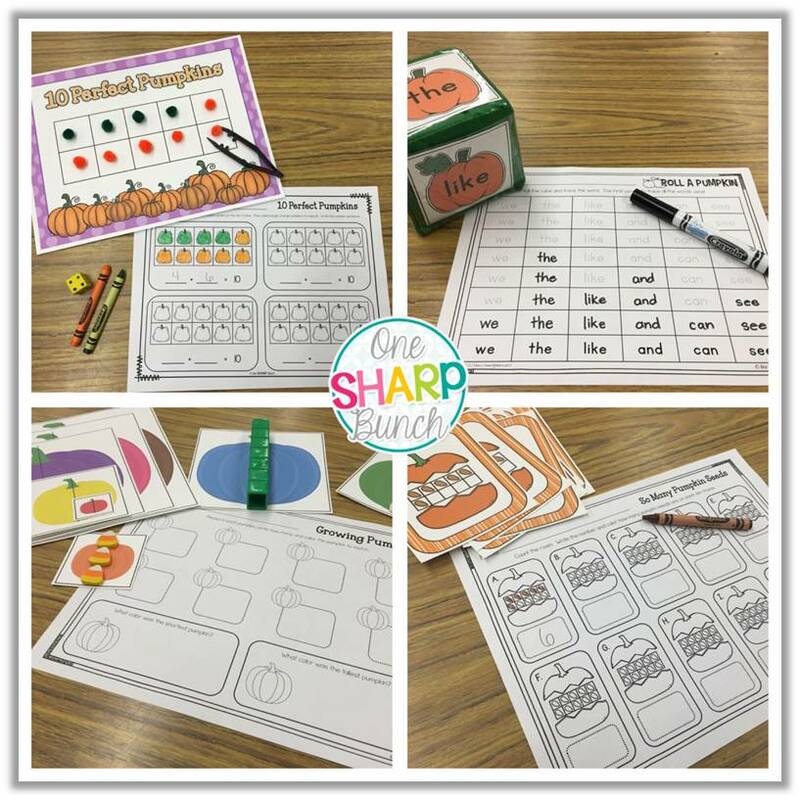 Having the number line right on the page is great support for them. As for the pie, thanks for reminding me to make that again this year. The best part about the pie in a cup is–no soggy crust! That recipe sounds delicious!!!! And it sounds like it would be so much fun to make with the kids! Thank you so much for sharing! !